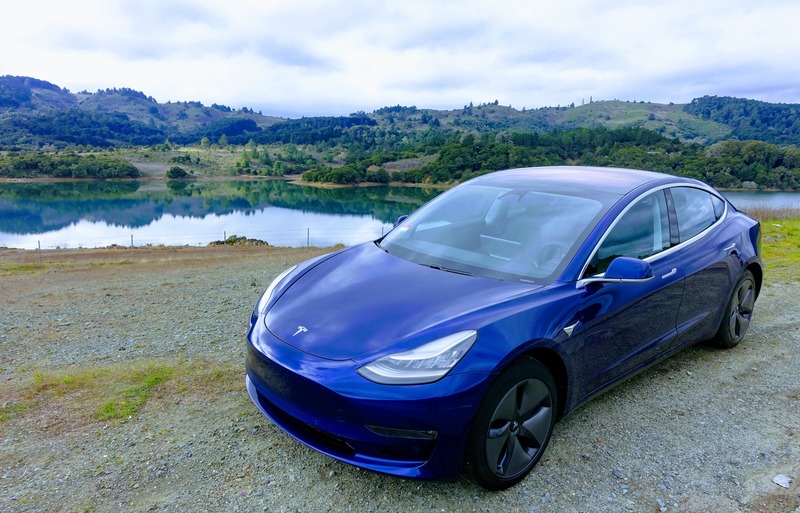 When we talk about this new generation of electric cars, we’re generally happy to highlight that we can now get relatively affordable electric cars that have relatively long driving range on a single charge. Depending on how you evaluate this, the Renault Zoe might have been the first such car (in Europe). If your requirement is over 200 miles of real-world range and/or you are focused on the North American market, the first car to offer this combo was the Chevy Bolt EV. Tesla is implying one or two things in that line. 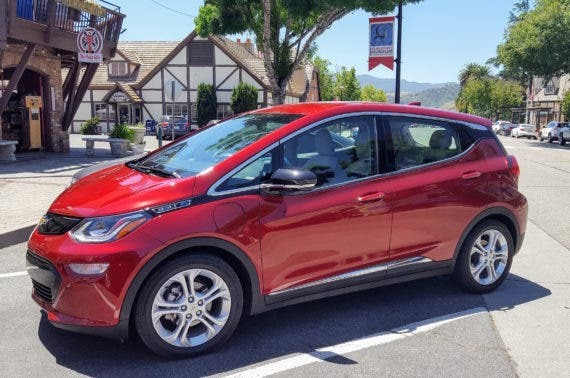 It’s implying that the Chevy Bolt isn’t priced on par with its gasoline-powered equivalents and/or it’s implying that the Bolt isn’t a “mass market” electric vehicle. If Elon and crew gave it much thought — which I think they must have — it’s probably a two-point knock. The Tesla Model 3 competes with the Audi A4, BMW 3 Series, and similar vehicles. That’s the class it’s in. 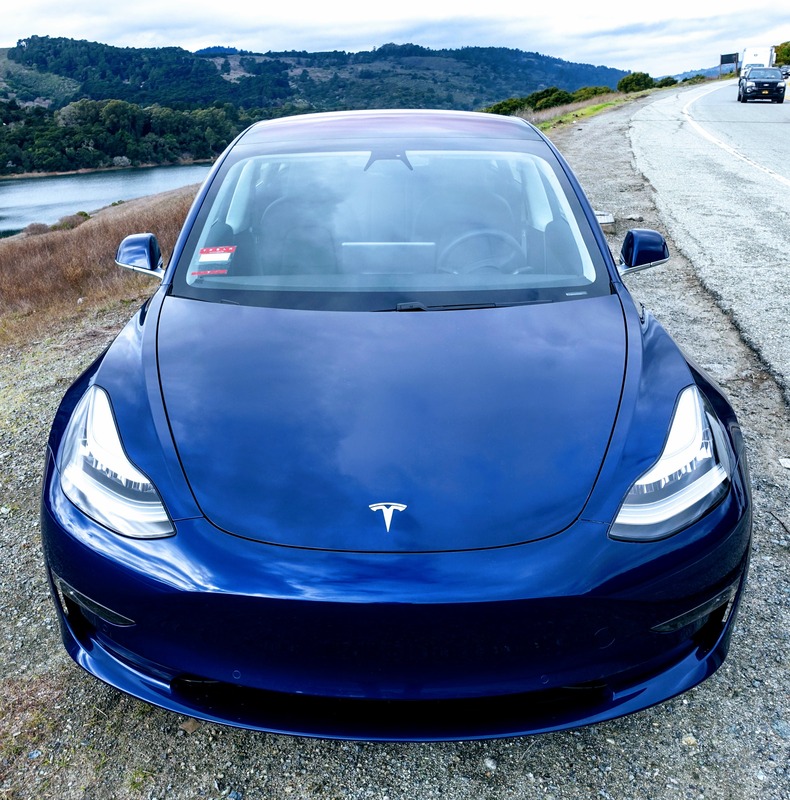 However, the Model 3 beats them on most key points — acceleration, efficiency, autonomous-driving tech, cargo space, and more. Some BMW fans, Audi fans, or other conventional car fans may still prefer these other models over the Model 3, but there’s no denying these vehicles compete with each other. 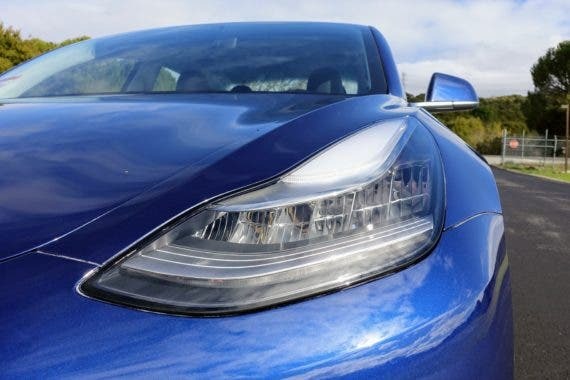 See “Tesla Model 3 vs 22 Competitors (The Straight Specs)” for more on this topic. As many commenters have pointed out (no matter what side of the EV transition they’re on), the Chevy Bolt EV doesn’t compete with premium-class cars in many regards. It’s basically comparable to a Chevy Sonic. 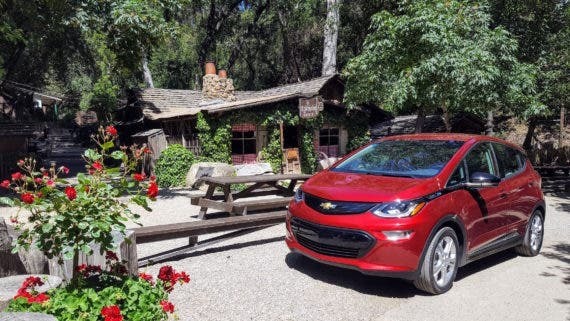 The hatchback, FWD version of that car starts at $16,170 MSRP, whereas the Chevy Bolt EV (which is not listed under Chevrolet’s “Cars” category on its website, just under the “Electric” category) starts at $36,495 MSRP. Above is the Chevy Bolt. Below is the Chevy Sonic. 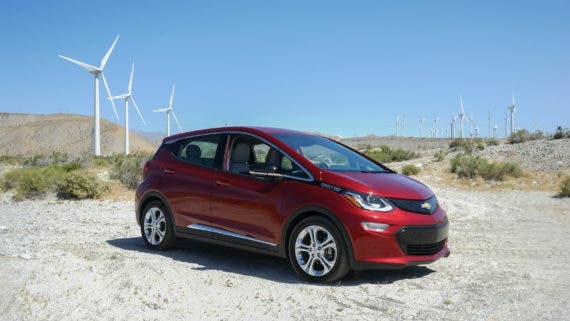 The figures the Bolt are set to achieve could be considered mass market if you’re pretty broad with the term, but if you want to get a bit more aggressive about what mass market means, the Bolt doesn’t look like it qualifies. 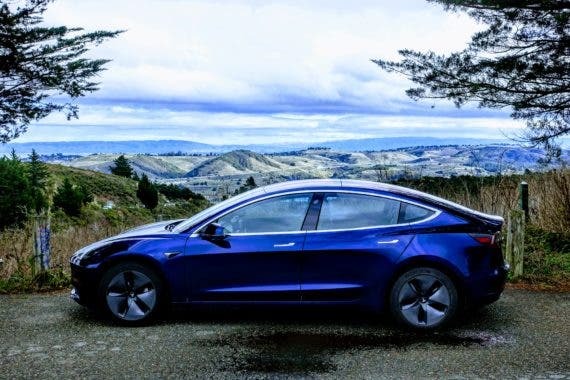 And, by the way, the Model S obviously competes very well in its class (it’s #1 in the class) and sees approximately 25,000–30,000 sales a year in the US, so Tesla’s statement about the Model 3 wouldn’t make sense if it was talking about cars that see the kinds of volumes that the Bolt and Model S see. Now, I could have ignored that line. Or we could just see it as a slight swipe at GM and the Chevy Bolt. But I think there’s a much bigger point here. 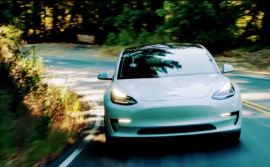 The point is that Tesla is able to sell mass-market cars that compete with top cars in their class even if you sort of ignore electric drivetrain benefits (note: that’s assuming Tesla gets mass production rolling and starts delivering the $35,000 version Model 3, not just the $44,000+ version). Does the corporate differentiator only concern desire to sell — efforts to sell — electric cars in high volumes? Maybe. But a complementary and fundamental problem seems to be that GM and others still haven’t figured out how to create a competitive electric car that makes them money. A GM exec recently indicated that they hope to sell electric cars that make the company money in a few years. Yikes. So, a $36,495 electric version of the Chevy Sonic still loses the company money? Even assuming there isn’t a production bottleneck, no wonder GM isn’t shipping more Bolts to high-demand areas with long waiting lists (South Korea, Canada, and Europe, for example). Some people might be inclined to step in here and say that Tesla isn’t profitable so is also losing money on the Model 3. That’s disingenuous and those people know it, or they have hugely inflated expectations of the cost of Tesla batteries and other components. It also assumes CEO Elon Musk is lying to shareholders, which is a crime. Tesla isn’t profitable because it is pumping money as quickly as it can into growing the company — new products, new factories, more sales channels, more service and charging centers, etc. If Tesla wanted to sit back and stop growing, it could start making a profit fairly easily. But it wants to grow, and quickly, and its shareholders want the same from it. So, in summary, that one line in Tesla’s shareholder letter is a simple comment, but it implies a few much deeper points. It highlights that the Model 3 is set to be the first mass market electric vehicle that can outcompete comparable gasmobiles. That means, in part, that Tesla is doing a better job at designing and manufacturing electric cars in a cost-effective and compelling way — while expanding its critical Supercharging network. Combined with comments from large automaker executives about the costs of producing electric cars, all of that also implies Tesla will continue to grow its leading position in the electric vehicle market for at least the coming few years — until these other automakers are producing mass market electric cars that strongly compete in their classes according to people who don’t care about these notable electric benefits. I recently heard from a former GM exec that he expects the electric + hybrid market in the US to remain quite small. 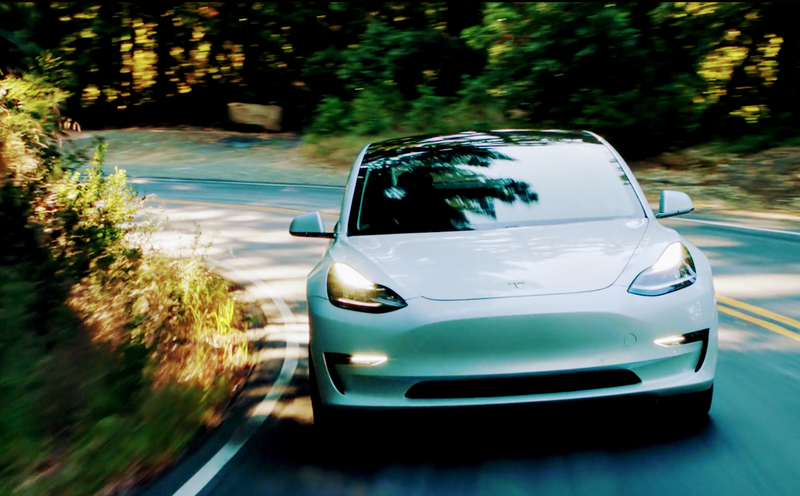 He doesn’t expect there is actually that much demand on the market for the Model 3, even before you het to his skepticism about Tesla’s ability to build it at the fast pace targeted. Furthermore, he indicated that large automakers don’t want to produce and sell very many electric cars because they lose money on them. If you’ve got companies that feel like they can’t make money on a product and don’t really want to sell it in high volumes yet, and then you’ve got a company that can make money on the same type of product and does want to sell it in high volumes, what do you think is going to happen in that market? Note: As stated in my bio, I own shares in Tesla [TSLA]. One might presume that means I want to see the stock price rise in the short term, and many a commenter has claimed that I was trying to pump up the stock price. I don’t frequently look at the TSLA stock price, but if I had to have a preference right now, I’d rather the price fell down a bit to offer a good point to buy in again. In other words, no, I’m definitely not trying to pump up the stock price with this article or others. Last note: I originally thought this would be a super short article. Apologies if you read the whole thing and hated it. You’re welcome if you loved it.